Portraits of Madame Sauve and her spouse Maurice. Awarded during opening of the Edith Cavell School, Moncton, New Brunsiwck, in 1990. 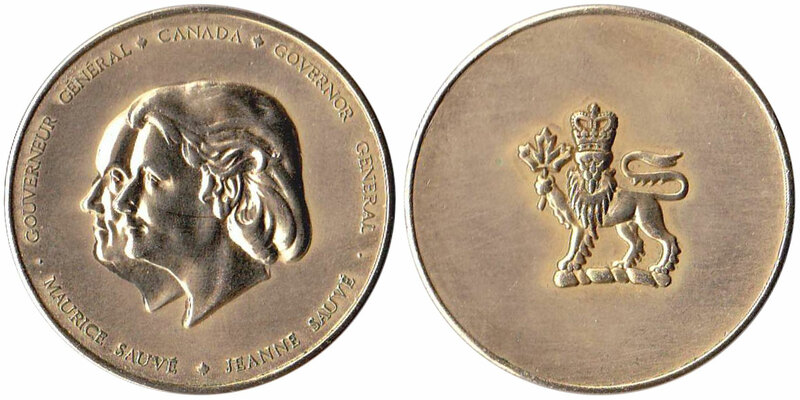 In 1984, Jeanne Saué� became the first female governor general in Canada's history. Each Honourary Aide de Camp received this commemorative token, a portrait photograph and thank you letter for service as her Madame Sauve Aide de Camp. This token was upon Madame Sauve stepping down from office.